Quartersawn Oak Mackintosh Crib. We can make a changing tray that fits a standard changing pad. This would sit on top of the dresser until it was no longer needed. This then becomes a fine starter dresser for a child. 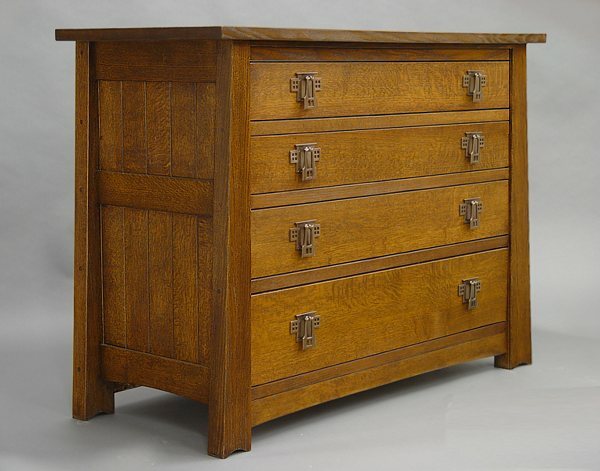 This Chest has been purchased as a linen chest in a dining room. It is a perfect size. Shown with imported English pulls. THESE PRICES INCLUDE THE PICTURED PULLS/HARDWARE. THERE ARE LESS EXPENSIVE STYLES AVAILABLE. 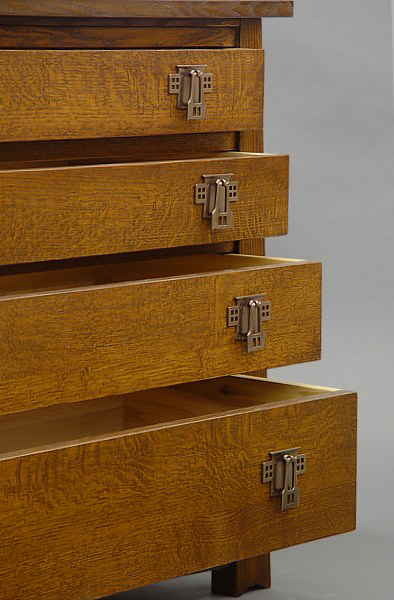 The drawers are center guided and side hung on handmade, hardwood glides and slides. The dust panels are dovetailed into the legs. The drawers are dovetailed construction. 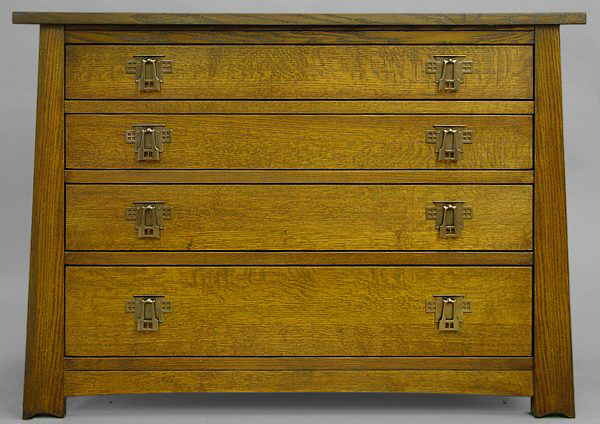 THIS PIECE WOULD ALSO MAKE A FINE LINEN STORAGE PIECE FOR A DINING ROOM.